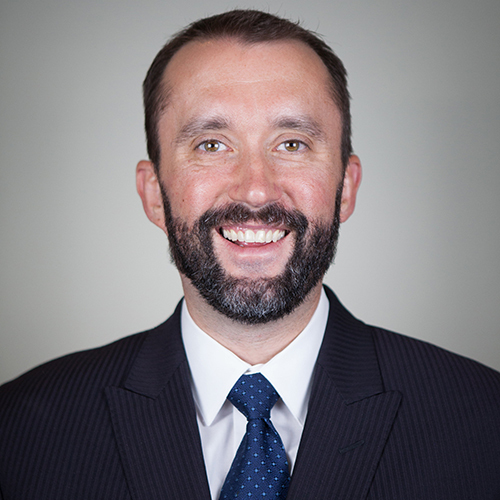 Mr. Husbands is an associate at Woodburn and Wedge and focuses his practice primarily in the areas of family law, domestic relations and property rights. Mr. Husbands has been practicing law since 2007 representing clients in a variety of matters including family law, domestic relations and property rights and has substantial courtroom experience including trial experience. His family law and domestic relations expertise involves divorce and post-divorce issues, adoption, child custody, establishment of paternity, child support, prenuptial and postnuptial agreements and guardianships. Prior to joining Woodburn and Wedge, Mr. Husbands owned and operated a small legal practice for four years in Ely, Nevada. As part of that practice, Mr. Husbands worked on matters involving family law and domestic relations matters, property issues and lifetime and post-death transfers of property. In addition to his legal practice, Mr. Husbands consulted with Robinson Nevada Mining Company as a Senior Contract Administrator. There, Mr. Husbands was responsible for a variety of legal issues relating to RNMC’s procurement and purchasing of goods and services needed for mining operations. Before moving to Nevada, Mr. Husbands worked for some of the nation’s most respected law firms with a practice focused on business law and commercial transactions. During his time as an undergraduate at Penn State, Mr. Husbands worked for a summer as a legislative intern for the late U.S. Senator Arlen Specter. Mr. Husbands has worked in various capacities in the legal industry since 1998 and brings his broad experience to bear for each of his clients at Woodburn and Wedge. Mr. Husbands is a proud member of the Rotary Club of Sparks. In addition to being a Rotarian, Mr. Husbands is a volunteer for the Family Law Lawyer in the Library Series organized by the Washoe County Courts. He also frequently attends and participates in periodic meetings of Washoe County family law attorneys and judges. Mr. Husbands previously served on the Board of Directors for the Learning Bridge Charter School in Ely, Nevada. From 2015 to 2017, Mr. Husbands served as the Chair of the Board. "Sweat the Small Stuff... and a Handful of Other Tips to Help You Make a Positive Impression Early in Your Career,” ABA Young Lawyers Division 101 Practice Series, 2008-2009. “Corporate Minutes: Best Practices Create Best Evidence Part I - Regulatory Framework,” LexisNexis Expert Commentary, Co-Author, Sept. 2008. “Corporate Minutes: Best Practices Create Best Evidence Part II - The Art of Preparing Minutes,” LexisNexis Expert Commentary, Co-Author, Sept. 2008. “Cost-Effective Improvements in Governance: Enhancing Communications Among Board Committees,” 16 Corporate Governance Advisor 1, Jan./Feb. 2008.